Fig. 4. 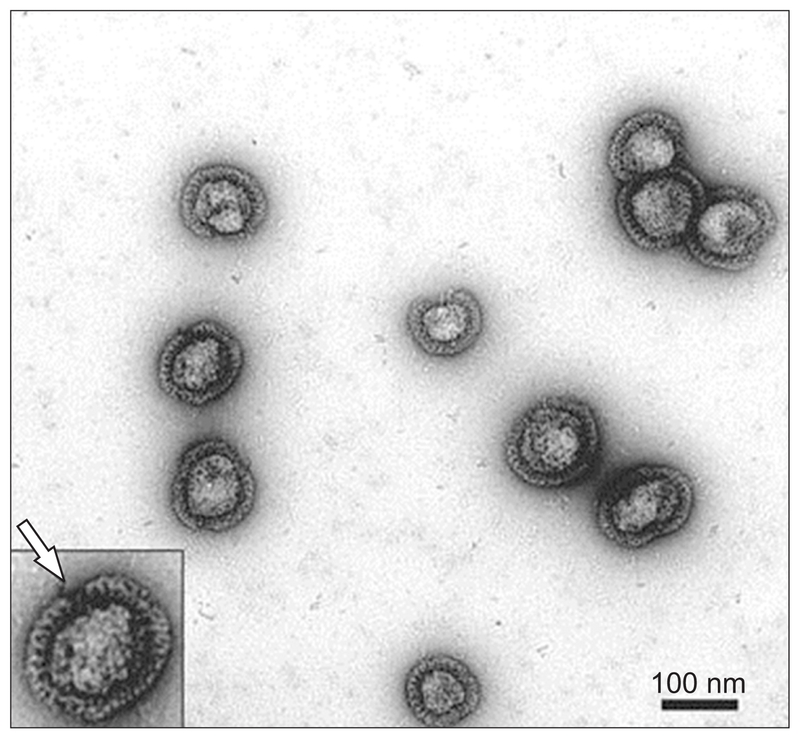 Transmission electron micrograph of membrane vesicles of Sulfolobus solfataricus. These vesicles are surrounded with surface-layer (arrow). From with permission from the publisher.